Every year we drive around with the kids to look at Christmas lights. I took photos of them for the first time this year, but found it rather difficult to take them in a moving car. This is the only one that turned out. We were stopped at a stop sign. In case you were wondering, this is not our house. I have no idea who lives here. GREAT shot! I have a bunch of blurry shots from over the years, lol. almost impossible! You did great on this one! Oh Cascia, they are so pretty. I can't wait till we can start our annual Christmas Light cruises, just waiting for it to not be so slippery outside. That's one of our favorite things to do! LOL! My 3 month old is fasinated by Christmas lights. I can't wait until next year when she knows more about what things are! That is a pretty cool house! Happy holidays! Now that is getting into the holiday spirit! I love going an looking at lights. Going to see lights is SO much fun! Those look neat! That is one of my favorite things to do at Christmas! We live in a new city this year so I'm extra excited to go on our drive this weekend! Merry Christmas and happy WW! Fun! I love driving around finding lights! That is one of my favorite things to do also!!! My kids are obsessed with the Christmas lights right now! 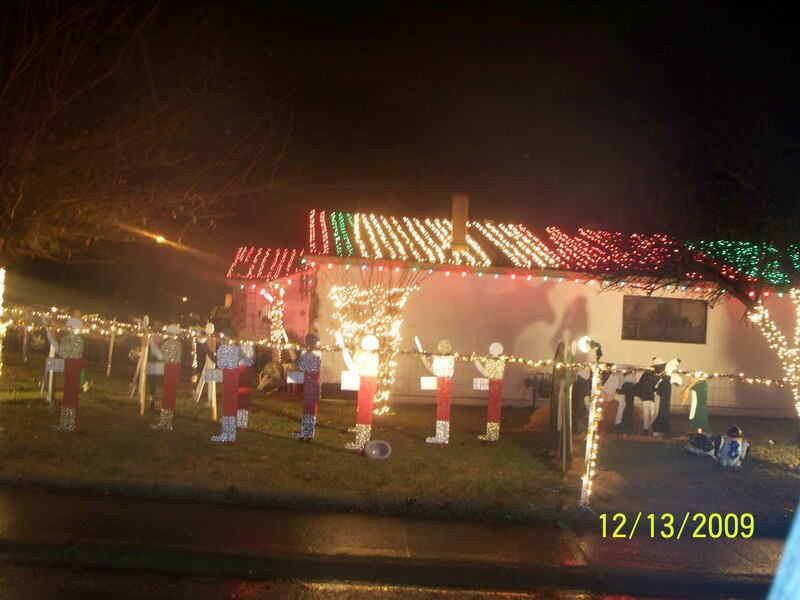 We have a nearby house that is very done up and we drive by there all the time!! I'm glad that one turned out. Christmas lights really can be a challenge. I like all the rows of lights on the roof! Lovely shot! I always have issues taking night sceneries… I required a lot before I could even get one right. We do that every year too – which reminds me we should do it this weekend. We do it every year also.This year we are going to go through one of those look at the lights as you drive through displays. I love lights. Good picture.